1. Both cells are enclosed by plasma membrane filled with cytoplasm. 2. In both cell types, Ribosomes are involved in protein synthesis. 3. In both cell types, DNA is the genetic material. 4. 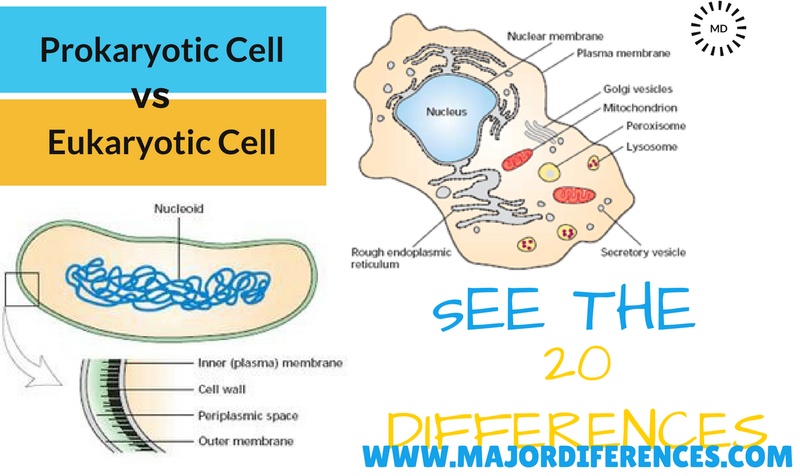 In both cell types, cell wall is present (with some exceptions like animal cells where cell wall is absent). 5. In both cell types, the major bio molecules are carbohydrates, proteins, nucleic acids and lipids. 6. 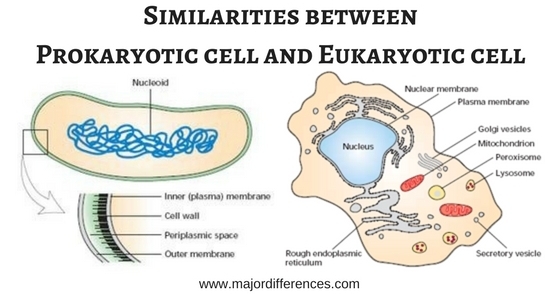 The basic mechanism of DNA replication, transcription and translation is similar in both prokaryotes and eukaryotes. 7. Some major metabolic pathways like Glycolysis and TCA cycle are common in both cell types. 8. Similar mechanism of photosynthesis in cyanobacteria (prokaryotes) and green plants (eukaryotes). 9. In both cell types, ATP is the chemical energy “currency”. The hydrolysis of ATP releases energy that is used for cellular processes that require energy. 10. In both cell types, there are 20 standard common amino acids and genetic code is identical (with some minor exceptions) with 64 codons out of which 3 are stop codons.